From contacting us for a quote, through to making a booking we try to make the process as easy as possible. Hopefully we can make you smile as well. As Dale Carnegie once said, “People rarely succeed unless they have fun in what they are doing”. Hodge’s Coaches was established in 1924 and even and even though we are proud of our past we are always looking towards the future. We operate a 25 vehicle fleet from Sandhurst on the borders of Berkshire, Hampshire and Surrey giving us easy access to the M3, M4 and the M25 this makes us ideally situated for London theatres, airport transfers, trips to the south coast and beyond. We have thrived for nearly 100 years by focusing on the customer. We have many customers who have continued using us for over 40 years. 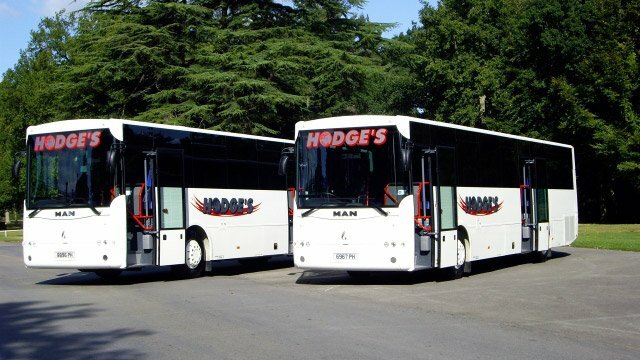 If you are looking for coach hire in Berkshire, coach hire in Hampshire or coach hire in Surrey call Hodge’s. We never forget that we are in a service industry so whether you’re hiring one coach or one hundred coaches a year you can be guaranteed of our 100% commitment to your satisfaction. The safety of our vehicles is of paramount importance to us. We undertake all the maintenance on the vehicles in our purpose built workshop. To give our clients an idea of the standards we work to, all our MOT inspection forms are uploaded to our Facebook page so please feel free to visit our page (Please click the Facebook icon at the top of the page). 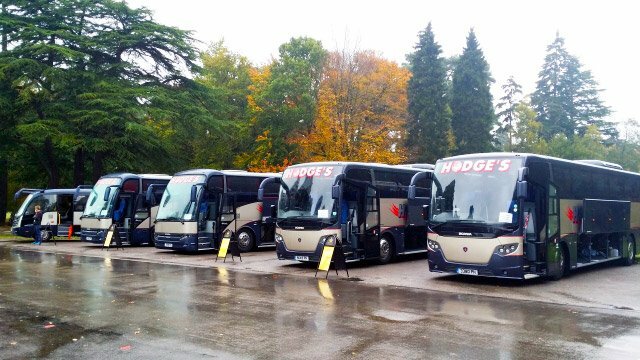 With nearly 100 years of experience and a wide range of vehicle sizes Hodge’s are well known and respected for providing a high quality service. Our regular clients include some of the home counties most prestigious private schools and many large Pharmaceutical, IT companies and Local Authorities. 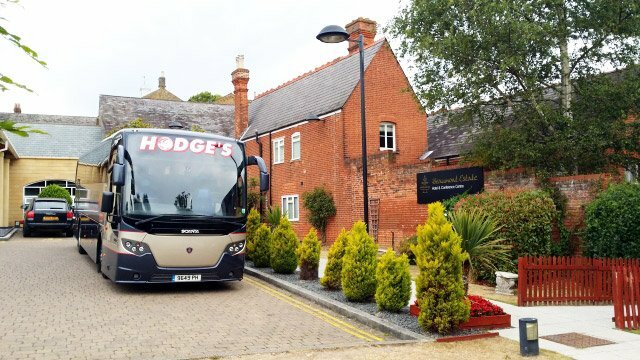 At Hodge’s our aim is to exceed your expectations from your first contact to each and every hire. Are you looking for a way to transport your staff in an environmentally friendly and stress free way? If the answer is yes, then coach transport is the answer. Our job is to relieve you of the hassles associated with staff transport. Let us remove the burden from your shoulders. 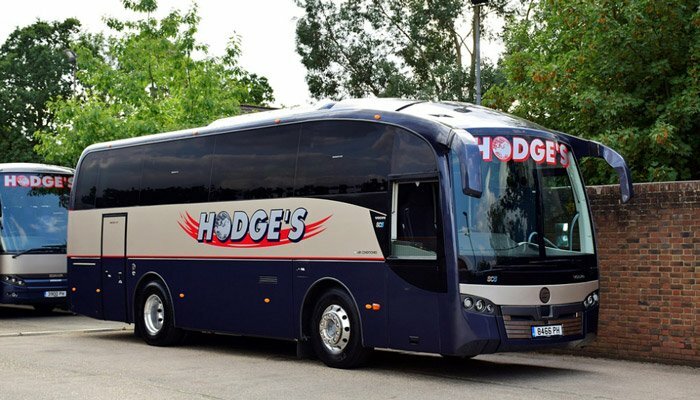 Having just returned from a very successful 5 day tour featuring the North West of England, I would like to thank you for supplying a truly professional driver who is a great ambassador for Hodge’s Coaches. His keenness to look after his vehicle and attention to detail for venue finding and customer care is exceptional. On behalf of all of us who went to London, I just wanted to drop you a very brief line thanking you and your drivers so much for our trip yesterday. Your drivers were, as ever, absolutely fantastic, really helpful and a point of calm in a manic day. Having the coaches labelled was a lovely touch and made our lives so much easier on departure. Thank you very much for our transport to London on Tuesday. Our driver Brenda was excellent and I will definitely be suggesting your company if I am asked about any other trips that need a coach!